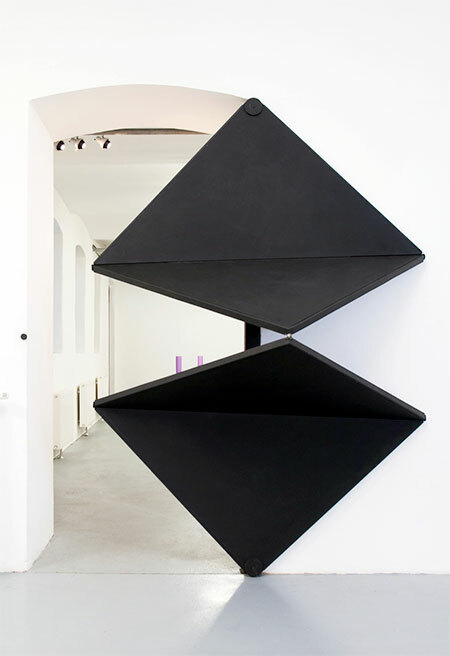 Innovative door made of rotating triangles designed by Klemens Torggler. 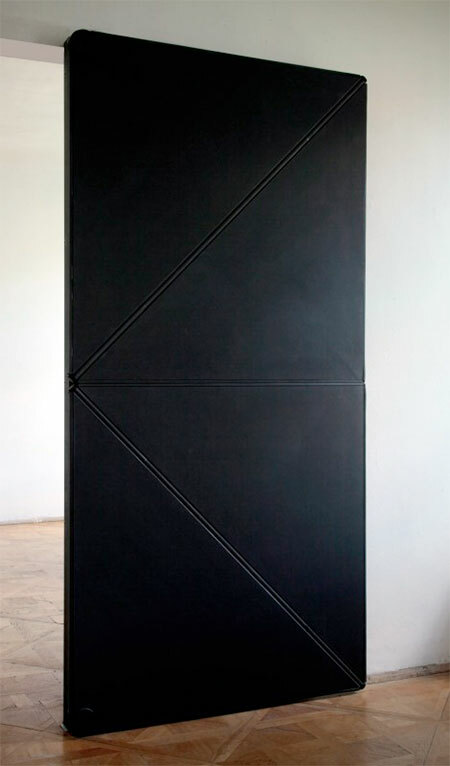 “Evolution Door” is equipped with soft edges and it will not hurt your hand. Unique, but nope, i just know i will bang something on that contraption trying to get in or out of the room! I love it! This has to be the most unique new door design anyone has seen in centuries. It appears to have just enough spring to make it toggle, and just enough inertia to carry through the toggle once you get it started.